A few days ago, we talked about how the largest water reservoir ever detected by mankind exists in space circling a massive black hole. Well this time around, it turns out that other than life-giving elements, celestial objects can also account for their ‘party vibe’ – as is evident from the so-named Comet Lovejoy. Living up to its name, the comet was found to release prodigious quantities of both alcohol and sugar into space. What’s more, the alcohol in question here pertains for the very first time to ethyl alcohol, the same type used in man-made alcoholic beverages. Of course beyond just jokes, this discovery alludes to a very significant scope – which could have entailed the formation of complex organic molecules on the comet source as building blocks of life. Coming to the observing ambit, Comet Lovejoy (or C/2014 Q2) was denoted as one of the brightest comets in our Solar System. And as is the case with some comets, the gravitational pull of sun attracted the body towards its orbit, thus leading to Lovejoy’s heating up. The scientists made note as the comet passed closest to the sun on the date of January 30, 2015. During this ‘heated’ (and brightest) phase, Lovejoy was releasing water at the wondrous rate of 20 tons per second. 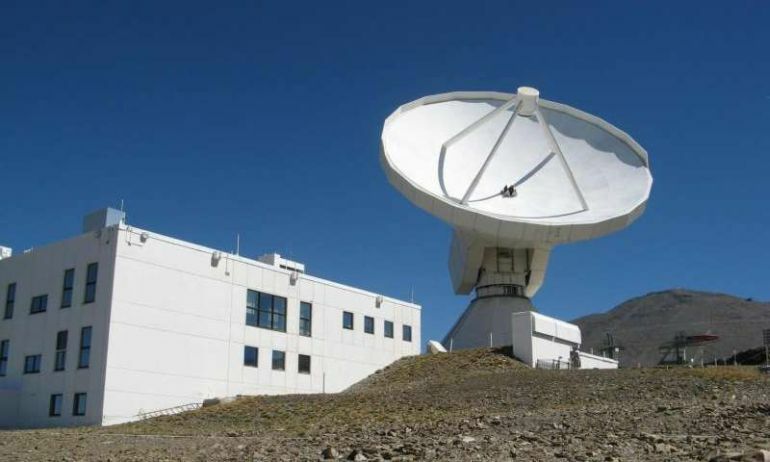 But more importantly, the researchers (observing from Pico Veleta, Spain) used an advanced 30 m (98 ft) diameter radio telescope, and detected a microwave glow from the comet. Now in optical terms, the light from the sun is responsible for exciting the molecules around the comet’s atmosphere, which in turn makes them glow at certain microwave frequencies. Basically, each molecule type glows at a specific frequency – and this allows the observers to detect the identity of the molecule even in a short span of time. So, the resultant spectrographic studies revealed that beyond water, the Comet Lovejoy had 21 types of organic molecules. Two of these molecules have never been found before in a comet, and they pertain to glycolaldehyde (or sugar) and ethanol (alcohol used in our drinks). In terms of chemical concentration, the sugar accounted for 0.016 percent in water, while ethanol accounted for 0.12 percent in water. 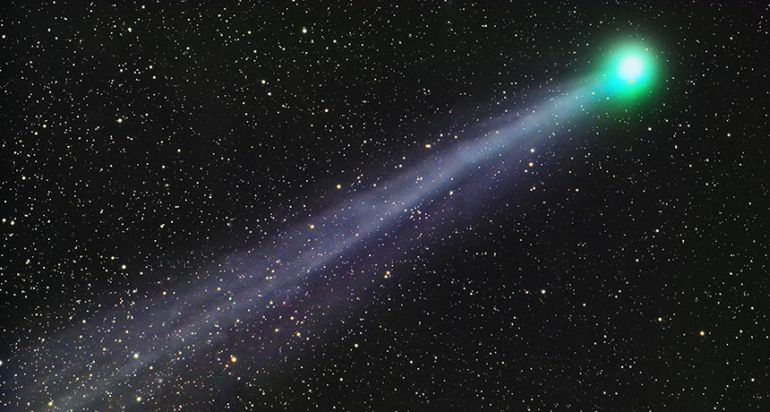 But in spite of what may seem as very low content of these molecular specimens, the scientists have estimated that Comet Lovejoy at its peak had released alcohol that could have manufactured 500 bottles of wine per second! The result definitely promotes the idea the comets carry very complex chemistry. During the Late Heavy Bombardment about 3.8 billion years ago, when many comets and asteroids were blasting into Earth and we were getting our first oceans, life didn’t have to start with just simple molecules like water, carbon monoxide, and nitrogen. Instead, life had something that was much more sophisticated on a molecular level. We’re finding molecules with multiple carbon atoms. So now you can see where sugars start forming, as well as more complex organics such as amino acids—the building blocks of proteins—or nucleobases, the building blocks of DNA. These can start forming much easier than beginning with molecules with only two or three atoms. The discovery and its study was originally published in Science Advances.